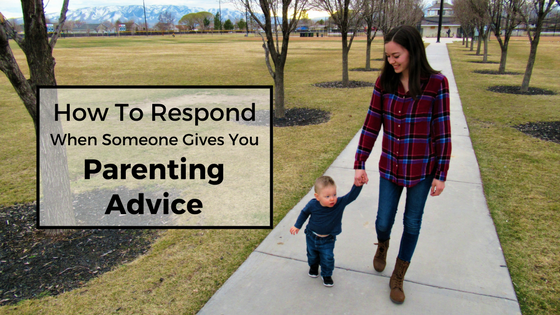 I’ve noticed that a lot of moms respond negatively to parenting advice, no matter what the advice is. I have thought many times that a piece of advice is really helpful, but the mom I heard it from is complaining because she didn’t ASK for it when another mom suggested it to her. I think the problem is that a mother doesn’t like to be thought of as a bad mom. Therefore, when other people give her parenting advice, she takes it as the other person giving her suggestions because they think she needs improvement. If we put that thinking aside and realize that we moms are ALL trying to do the best we can, it would be a lot easier for moms to get along. So how should we respond when someone gives us advice, even when we don’t ask for it? Here are a few things to consider when we are faced yet again with advice about parenting. They’re just trying to help. Whenever I give advice, it’s because I found it really helpful and I’d like to share it with others. I think this is most people’s thinking when they give advice as well. We want to “rescue” other parents so they don’t make the same mistake or have to figure it out the hard way. I’m not talking about those who are giving you advice as a passive aggressive way to get you to do what they want. I’ll get to that subject in a minute. There are many, many parenting styles. Something that worked for one mom might not work at all for another. Therefore, when we receive advice that we know will not work for our children, that doesn’t mean we have to be rude about it. For example, a friend once suggested that I put on a show for my son when I need to take a quick shower. It worked for her, so she was passing it on to help me out. Well I know that my son only watches TV for a few minutes and then he’s distracted and on to something else. So this wouldn’t work for us because he’d either destroy things or come cry at the bathroom door for me to get out. They might not know what they’re talking about. Here I’m mostly referring to people who don’t have children. I’ve gotten advice from these people many times. When I do, I just realize that they don’t know what they’re talking about, but they’ll get it when they have kids. Now I know that parents have no control over some things, and that’s okay. It’s necessary that we learn from others. It’s natural for us to want to give advice and help others. God even commands it in Titus 2:3-5. “Be kind and compassionate to one another” (Ephesians 4:32). The best way to respond is with kindness. So when you get some advice that you didn’t ask for or that you know won’t work for your family, don’t be rude and complain about it to others. Just kindly say, “Thank you for your suggestion,” and move on. Another way to respond is to actually take their advice. You don’t know until you try. Then you can have an opinion on it and can pass it on yourself if you’d like. What about those who give you suggestions to try to get you to do what they want? You’re the mother. You get to ultimately decide what’s best for your child. And yes, it is possible to decline a suggestion without being rude or unreasonable. When you GIVE parenting advice. Before offering your advice, maybe ask, “Would you like to hear how I’ve learned to handle that situation?” or whatever the case may be. Being friendly and not too pushy goes a long way. Don’t be offended when someone doesn’t take your advice. It might work for you, but not for someone else. If they’re too stubborn to listen, then don’t worry about it. That’s their issue that they need to work out on their own. “Love your neighbor as yourself” (Matthew 22:39). Therefore, be kind and tenderhearted, just like you would want to be treated. Every mother is figuring it all out as she goes. If we learn from each other and stop ranting that we got advice when we “didn’t ask for it,” maybe we’d make fewer mistakes as mothers. And remember that “Wisdom is found in those who take advice” (Proverbs 13:10). How do YOU feel about receiving parenting advice? Do you agree or disagree with this article? Comment below with your thoughts. If you liked this post, you might also like this article about Tips for Motivating Yourself to Be a Productive Mom. This is lovely advice. My children are fully grown adults at 19 and 21, but over the years I have received a lot of solicited and unsolicited advice from family, friends, even strangers! I always try to look on the positive side, though. I think most people do mean well, but it’s hard not to feel judged when offered advice by other moms. I just try to keep this in perspective and do what I feel is right for my family. That is what is most important! It really is hard not to feel judged by other moms when they give advice. And sometimes even meaning well can be unintentionally hurtful. But that’s true, you just have to do what’s right for your own family. I’ve just learned to let it roll off. I know people think they mean well but sometimes they are just such a pain lol! I usually just give a polite smile and casually change the subject. I got more annoyed about parenting advice when I was insecure about my own parenting. 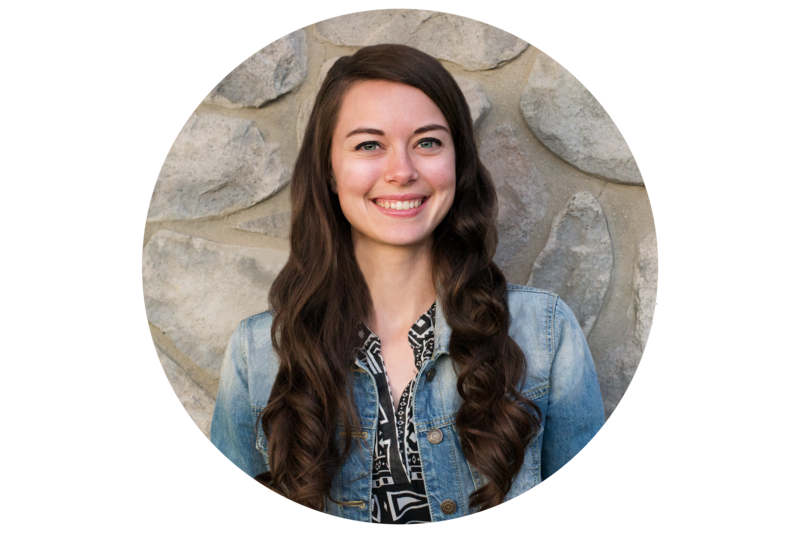 Once I really came to the conclusion that I had no real idea what I was doing any nothing worked the same way with each kid, I was much more receptive. That makes so much sense. Thanks for sharing! Mostly I just get annoyed when people offer unsolicited advice without really knowing me or my child. I think I have a pretty good “polite nod” happening, but internally I’m like “lady.please.” Most people do have good intentions though, I just need to be a little more receptive. Yes, that can be annoying. It’s challenging sometimes to not judge others right away when they seem like they’re judging us right from the start. But at least you’re not rude about it. 🙂 A polite nod is a good way to deal with it. Yes, that’s so true! Thanks for sharing your thoughts.